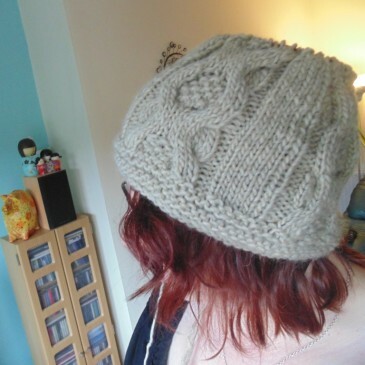 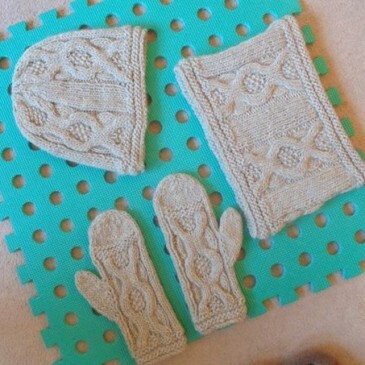 Ellen finished her winter accessory set! 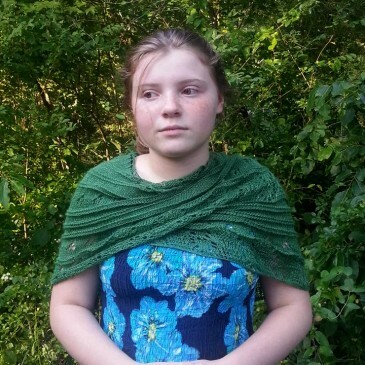 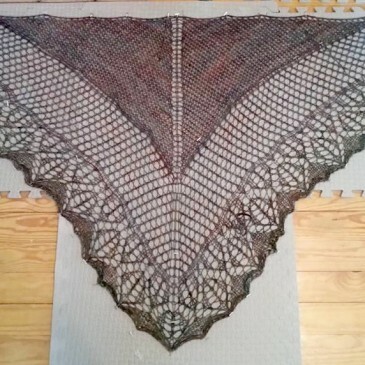 Deann has finished her Cloverdale shawl and has pictures to show us! 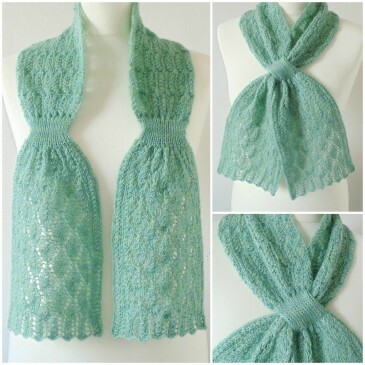 Felicienne is a pretty ascot-style lace scarf, featuring a falling leaf diamond lace pattern at each end and keyhole slots at both sides for flexible styling. 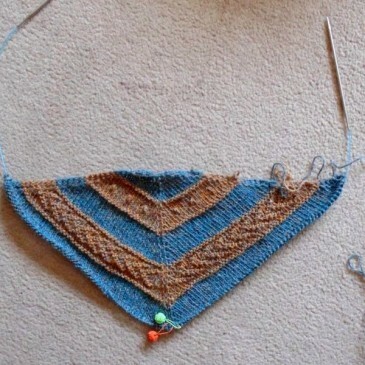 The scarf is worked flat from the bottom up, in two parts, which are grafted together at the centre back. 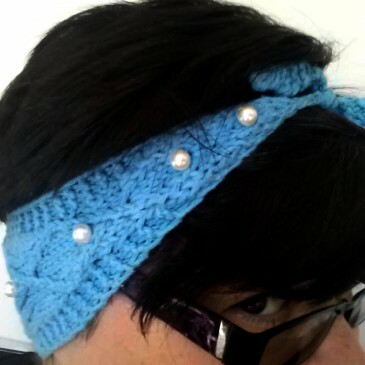 Debbie is a 1950’s inspired headband that can be worn different ways. 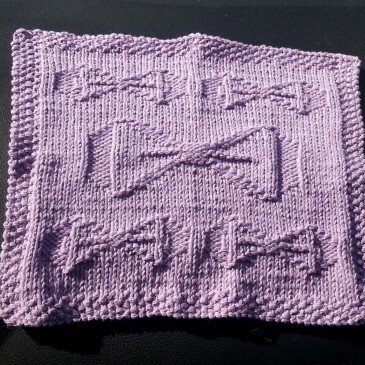 Either with the knot tied at the top or at the bottom or even off center. 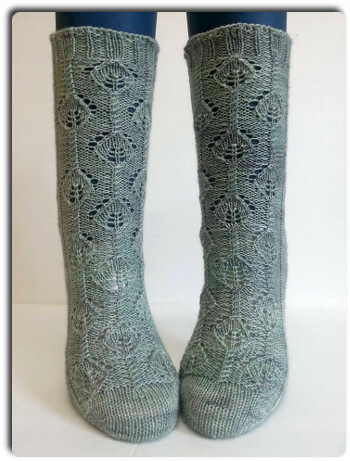 I especially like the leaf shaped tips sticking up at the top.